Join us for Regionals this winter! We will be discussing DA resolutions, elections and membership. You will also get a chance to meet Executive Director, Deanne Glynn, President, Amy Woodford and your Region Director, Sue Fresonke. Members must sign up to attend. All members are welcome to attend Regionals. MSEA pays for round trip mileage and meals. Members are strongly encouraged to carpool. Join us for Regionals this winter! We will be discussing DA resolutions, elections and membership. 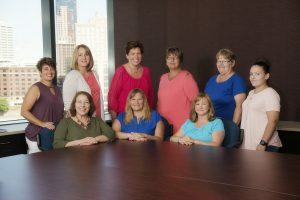 You will also get a chance to meet Executive Director, Deanne Glynn, President, Amy Woodford and your Region Directors, Mary Bruggeman and Lori Sizenbach. Members must sign up to attend. All members are welcome to attend Regionals. MSEA pays for round trip mileage and meals. Members are strongly encouraged to carpool. Join us for Regionals this winter! We will be discussing DA resolutions, elections and membership. You will also get a chance to meet Executive Director, Deanne Glynn, President, Amy Woodford and your Region Director, Laurie Larsen. Members must sign up to attend. All members are welcome to attend Regionals. MSEA pays for round trip mileage and meals. Members are strongly encouraged to carpool. 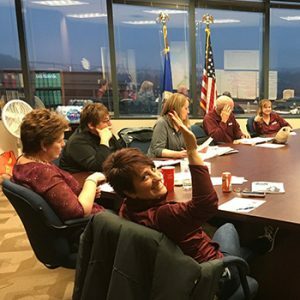 The MSEA Board of Directors meets regularly to decide on important issues pertaining to our organization. Join us for Regionals this winter! We will be discussing DA resolutions, elections and membership. You will also get a chance to meet Executive Director, Deanne Glynn, President, Amy Woodford and your Region Director, Hank Wessel. Members must sign up to attend. All members are welcome to attend Regionals. MSEA pays for round trip mileage and meals. Members are strongly encouraged to carpool. Join us for Regionals this winter! We will be discussing DA resolutions, elections and membership. You will also get a chance to meet Executive Director, Deanne Glynn, President, Amy Woodford and your Region Director, Carissa Deters. Members must sign up to attend. All members are welcome to attend Regionals. MSEA pays for round trip mileage and meals. Members are strongly encouraged to carpool. Join us for Regionals this winter! We will be discussing DA resolutions, elections and membership. You will also get a chance to meet Executive Director, Deanne Glynn, President, Amy Woodford and your Region Director, Wendy Derhaag. Members must sign up to attend. All members are welcome to attend Regionals. MSEA pays for round trip mileage and meals. Members are strongly encouraged to carpool.